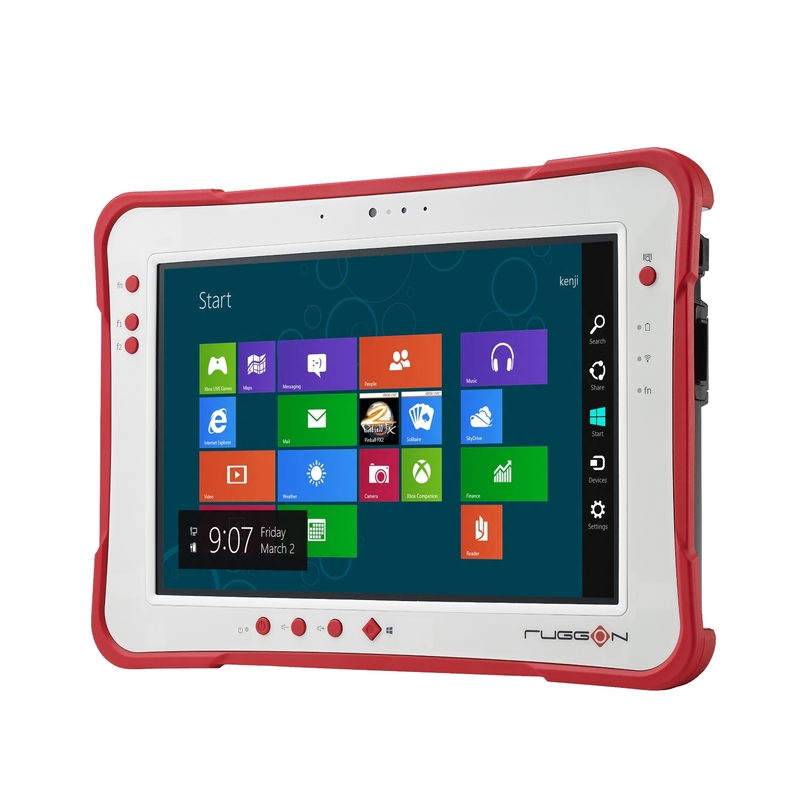 January 27, 2015, Taipei, Taiwan – RuggON, the rugged mobile specialist, announces the Rextorm series of Rugged Tablets. 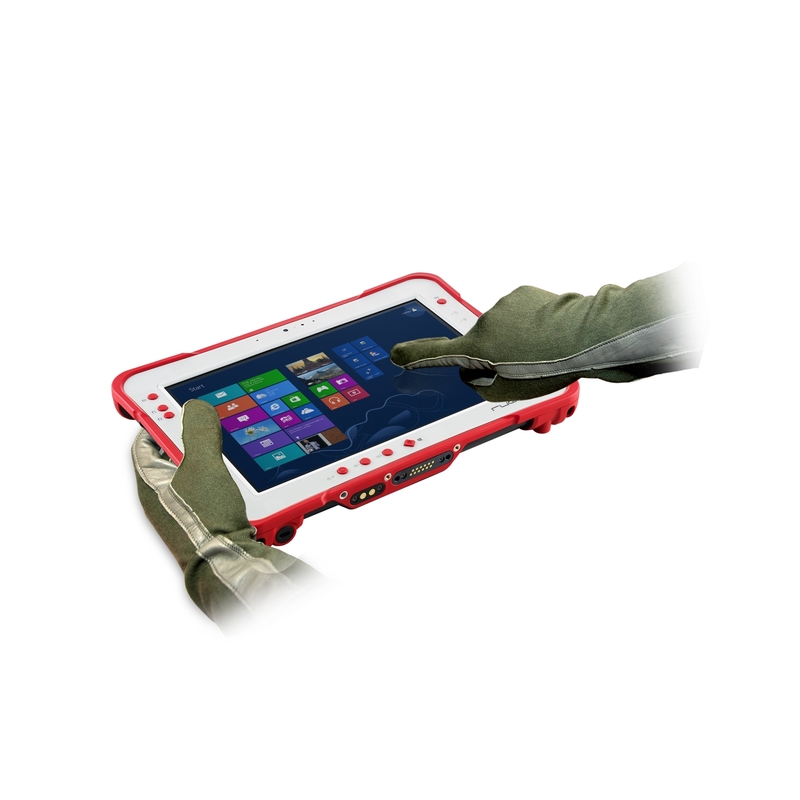 With an ultra bright 1000 Nit optically-bonded display, high speed 802.11ac connectivity, hot swappable dual battery design, and capacitive glove touch capability, these 10.1” fully ruggedized tablets take cues from the consumer tablet market but are 100% ready for heavy duty use. Sunlight readability is critical for working outdoors. 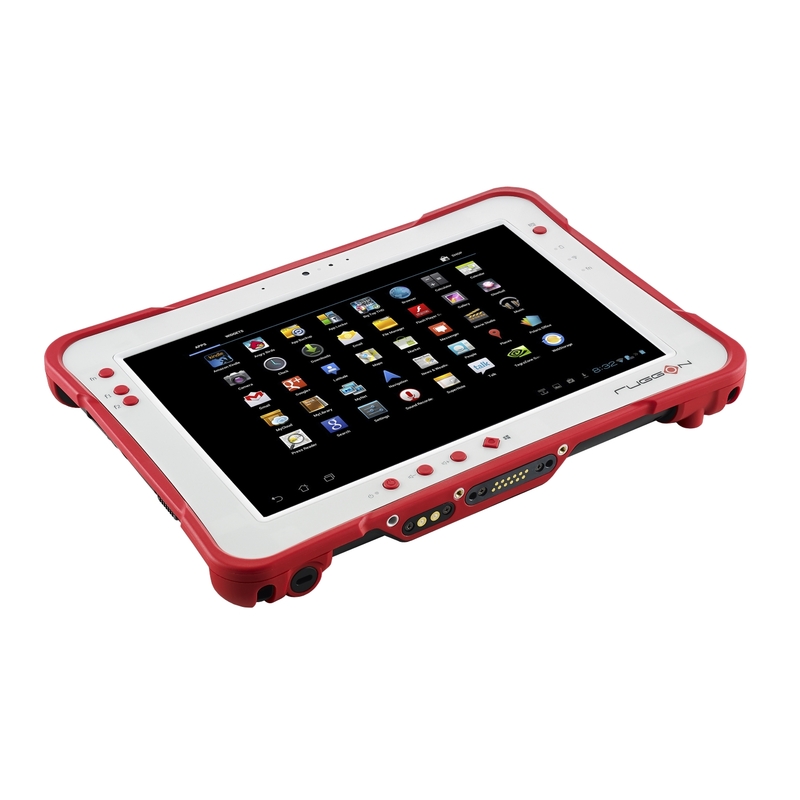 Rextorm is the first-to-market 10.1” fully rugged tablet featuring a 1000 Nit brightness sunlight readable display. The high resolution WUXGA(1920x1200) LCD touch screen is bonded directly to the outer Gorilla Glass layer, eliminating air gaps and reflections, and enhancing viewability in direct sunlight. Rextorm tablets can ignore unintended touches including the palm of the hand as well as water mist and rain drops, while ensuring correct data and command input. 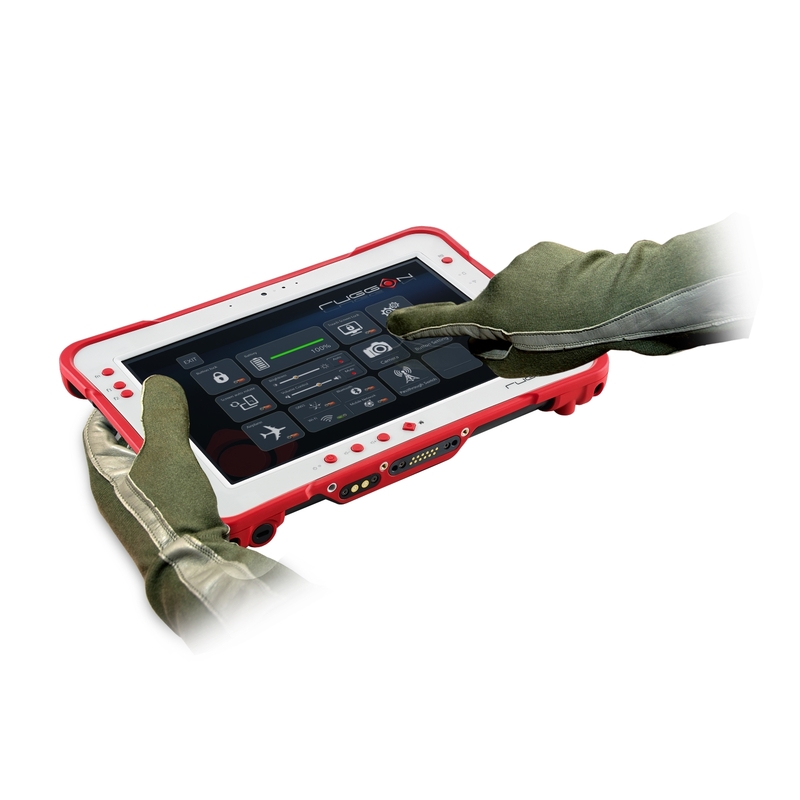 The Rextorm's capacitive touch display of the Rextorm series supports glove touch detection letting workers use the tablet without taking their gloves off. 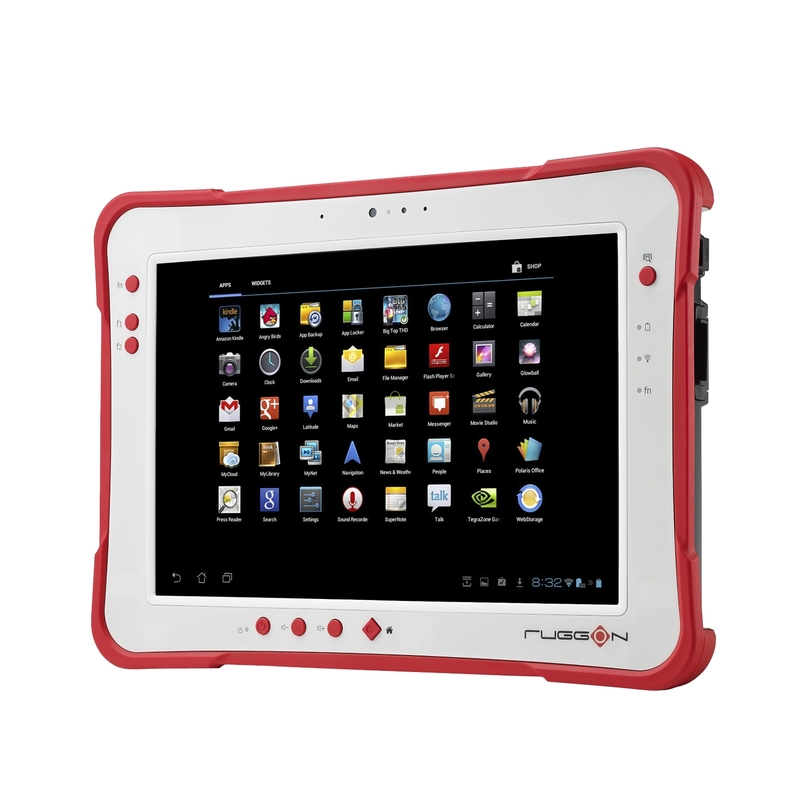 RuggON Touch-Lock allows users to prevent unintended touches. For extra accurate touchscreen interactions, not only a 2mm hard tip capacitive stylus, but precision digitizer input is also available. With the latest communication technology including GNSS Positioning (GPS/GLONASS/Beidou), 802.11 ac, Bluetooth 4.0 and optional 4G LTE, mobile workers can experience precise positioning, faster processing, broader coverage and more stable data transfer even around buildings or trees. For in-vehicle usage, a dual pass through port allows users to connect via vehicle dock for improved GNSS, WLAN, or WWAN reception. Standard I/O ports include USB 3.0, 2.0, RS232, RJ45, Micro-HDMI, and Micro-SD. A hot-swappable battery design means batteries can be switched in and out without ever turning off the device. For extended field usage, a high capacity battery is available that provides up to 12 hours of battery life for the PM-521 and PX-501 Windows tablets or up to 22 hours for the PA-501 Android tablet. For extreme power savings, ECO mode enabled by RuggON’s DashON app can extend battery life even further. 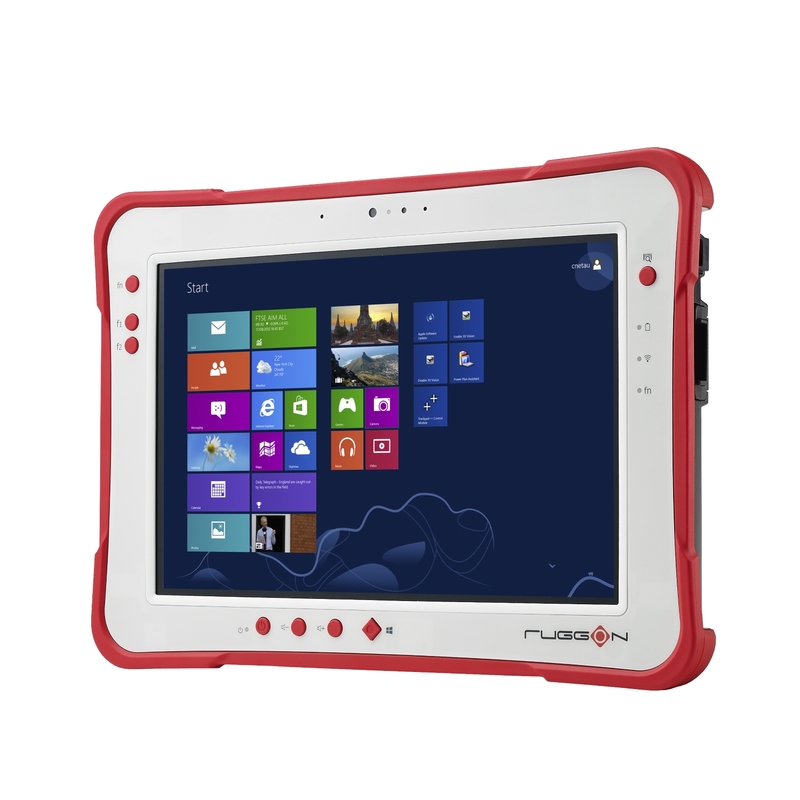 RuggON Tablets are extendible with SnapON modules such as Magnetic Stripe Readers, Smartcard Readers, NFC and more to enhance data collection functionality and product capability. The Rextorm series is a fully ruggedized tablet that meets and exceeds MIL-STD-810G standards for shock and vibration, offers IP65 rating, wide operating temperature range and superior drop resistance of 5 feet on to a concrete surface. 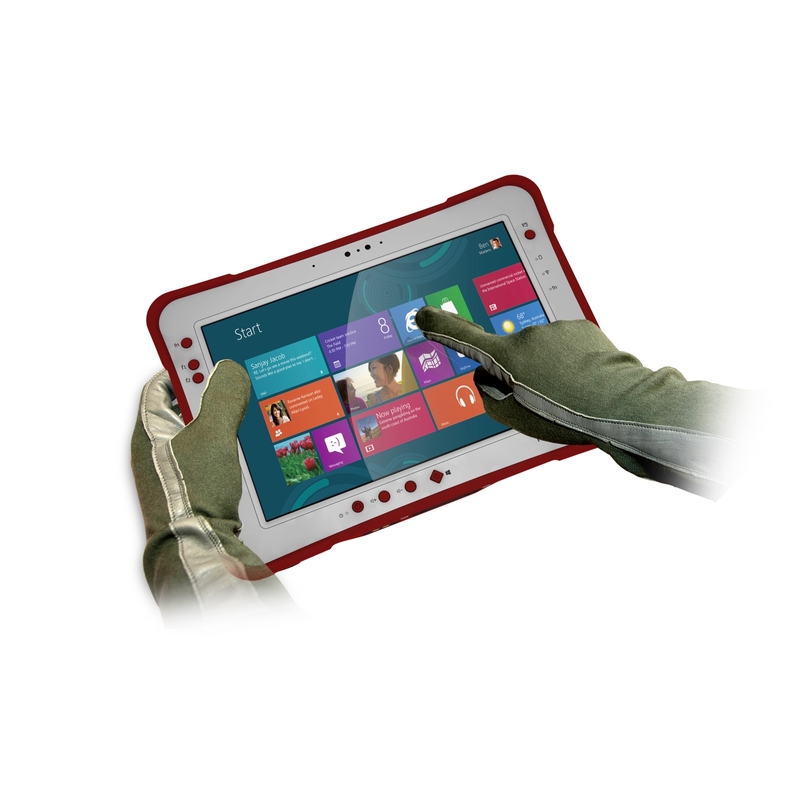 Using the Intel Core i5 “Haswell” processor, the PX-501 has the fastest processor of the series and is the rugged workstation you can take to the field. High capacity 120GB or 240GB SSDs are available as well as 4GB or 8GB of DDR3 RAM. A precision digitizer allows accurate input for illustrations and technical work in the field. Windows 7/8 Pro as well as Windows Embedded 7/8 are available. 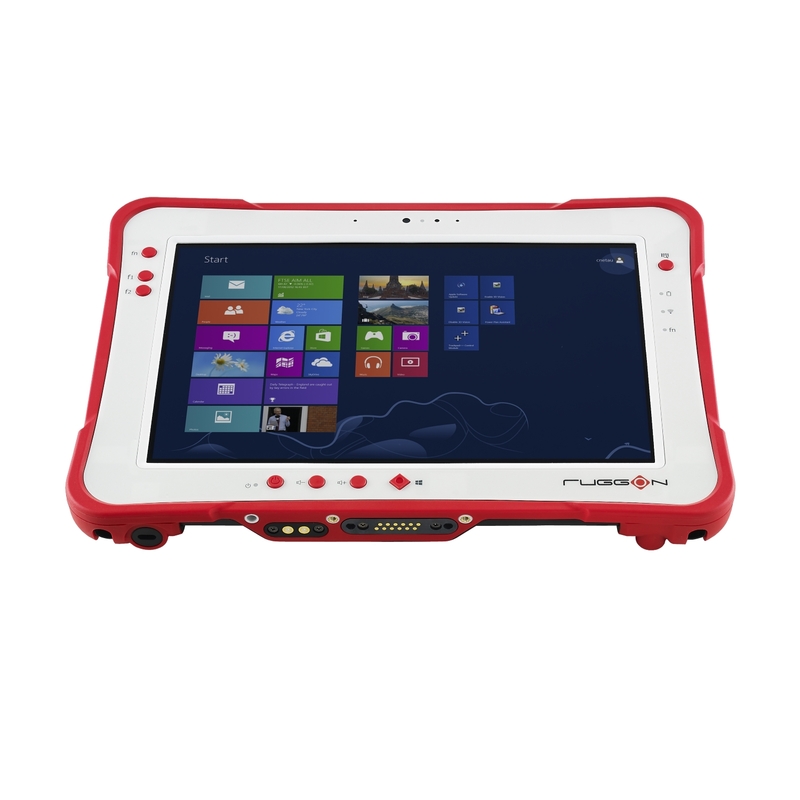 With an Intel Atom “Bay Trail” dual-core processor, the PM-521 offers balanced performance and competitive pricing. It features a 120GB SSD( 240GB SSD optional), 4GB of DDR3 RAM(8GB optional) and built-in TPM 1.2 security. 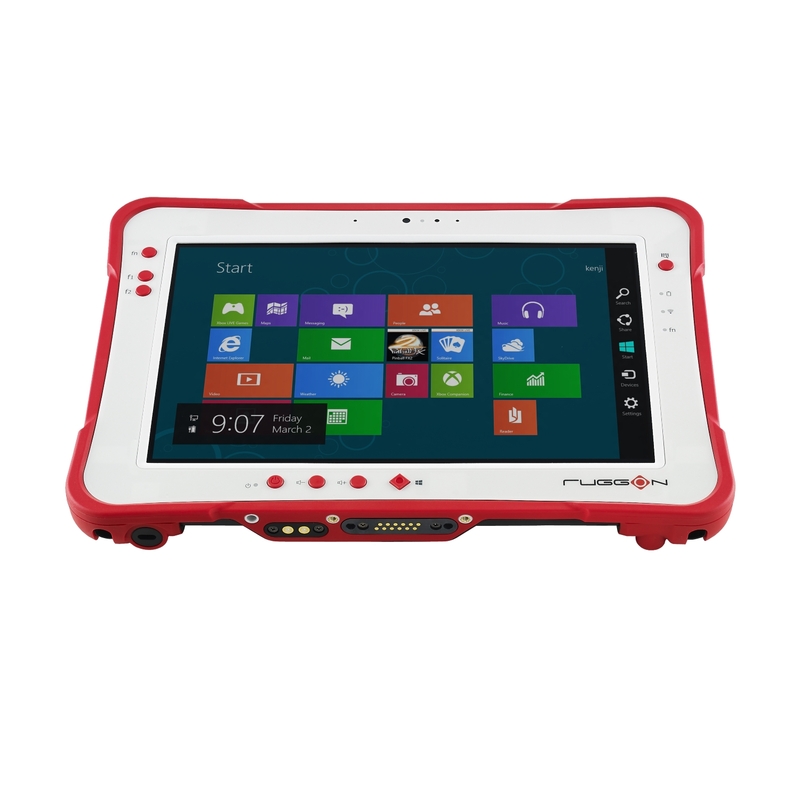 The PM-521 is the only rugged tablet on the market that offers the option of either Windows (7/8/WES 7/WES 8) or Android operating systems on the same platform. 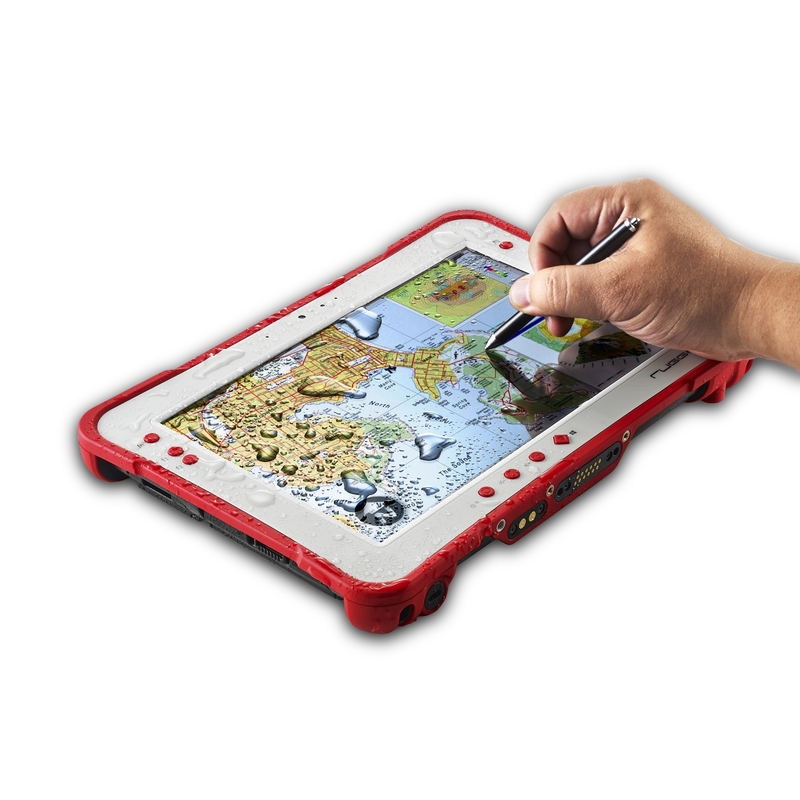 The ultimate Android tablet with all the ruggedness and the features of the Rextorm platform. Up to 22 hour battery life is achieved using the extended battery. 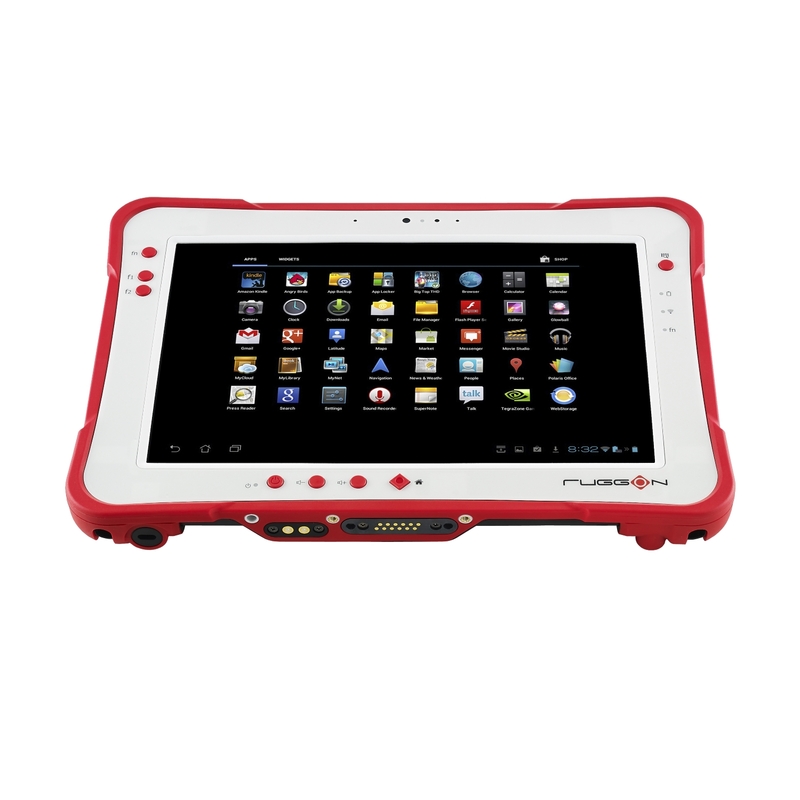 Optional 4G LTE and peripherals such as NFC, MSR and 1D/2D barcode make this the ultimate field data collection device.